Cyprus became a stage for a number of big backgammon tournaments last week. 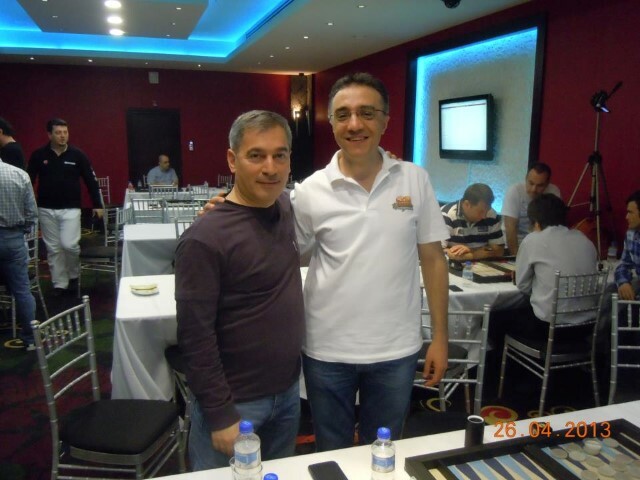 Two players from OBSS, Sabri Büyüksoy and Çağlar Erdoğan reached to the top of EBGT 2012 Grand Finale in which a select number of tournament and point race winners performed. In European Pro Championship, #2 backgammon giant Mochy (Masayuki Mochizuki) won the dramatic clock-determined final against a powerful Turkish player Cüneyt Argun Genç who was favorite to win like 95% in DMP. And in European Doubles Championship young Turkish players Erhan Yenişen and Hisar Uyar got the trophy by coming from 0-6 behind, balancing the score with 5-6 and then winning 11-6 against Mochy with a doubled backgammon. 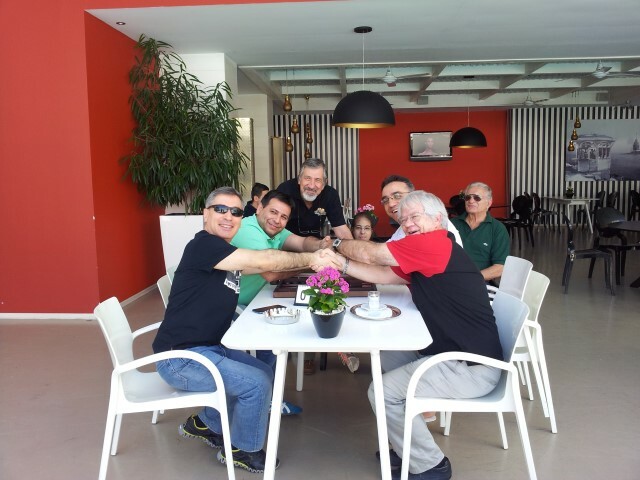 Hosting İSTAVDER and WBA tournaments with ever increasing attendance and significance during last four years, Cyprus continues to prove that backgammon as a 5000-years old game can rise again. The results and the quality of the tournaments pointed out once more that Turkey has become a powerhouse of backgammon. It also showed what can be achieved if natural backgammon playing countries like Turkey, Iran and Greece cooperates with the countries working towards the goal of spreading the popularity of backgammon like Denmark, Japan and the USA. In addition, I am personally happy to see that backgammon is giving respect to my efforts and players are considering backgammon more as a game of skill and expertise. You can check detailed tournament results in Chicagopoint. After winning EBGT Grand Finale, I gave an interview to Chiva Tafazzoli, head of WBA. I don’t have much photos but I will share them as soon as possible. 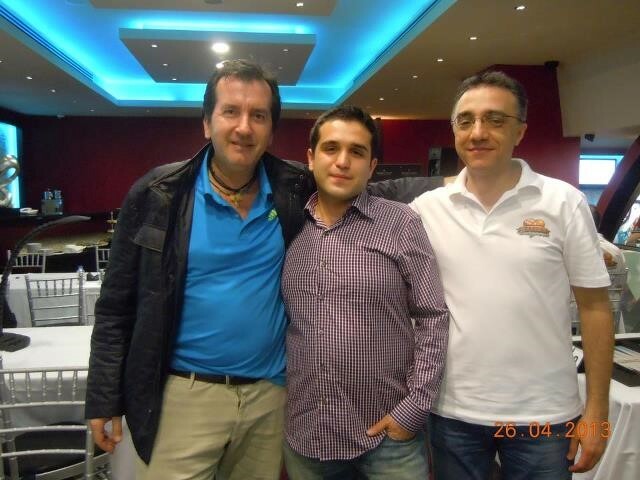 With backgammon phenomenon Zafer Taş and EBGT finalist Çağlar Erdoğan. With a player from Antalya, my home town: Kamil Karaali. I forwarded your message to Arda Findikoglu of WBF. 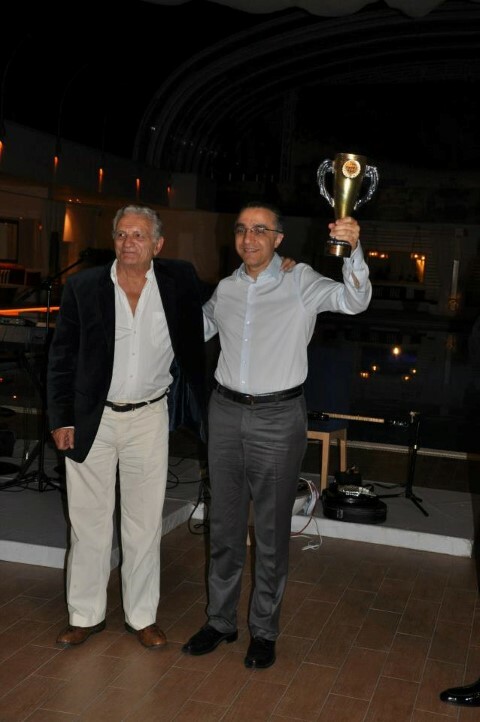 He is the organizer of Merit Open tournament in Kyrenia, Cyprus. He said he is going to send an e-mail to you.